After spending the night screening the withdrawal of Union forces from Viniard Field and guarding the Union right, Wilder’s Lightning Brigade retires. 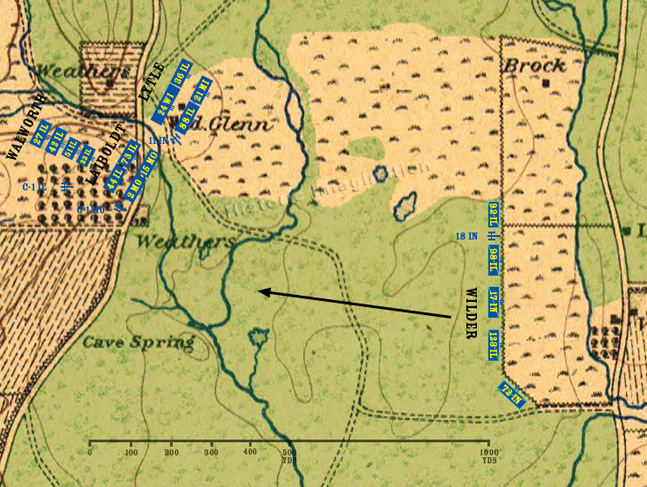 The 92nd Illinois is left behind as a mounted skirmish line to continue picketing the right of the army. The exact formation of the regiments in Sheridan's division is not known with certainty, although Walworth's brigade was described as being in a column of regiments.